Silver Oak Elementary School's Fab Lab - Full STEAM Ahead opened in March 2017 and is the first dedicated STEAM lab in Evergreen School District. "We want children to have 21st century skills in science, technology, engineering, art and math. The new Fab Lab offers our kindergarten through 6th grade students fun, exciting, hands-on ways to explore these subjects. The projects they will work on will strengthen students' abilities to be creative and flexible problem-solvers," explains Silver Oak Principal Howie Greenfield. Students in all grades take workshops where they learn introductory STEAM concepts and activities that are age and grade appropriate. With Silver Oak PTO donations and Measure M monies, the Fab Lab is colorfully outfitted, wired for the latest technology, and equipped with materials and tools so students can take advantage of a space that promotes working on group projects. The lab has a new laser cutter and 3D printer and cardboard and wood building tools including glue guns, cardboard cutters, and drills. Various software and hardware kits are used in teaching technology lessons aligned to Next Gen science standards. 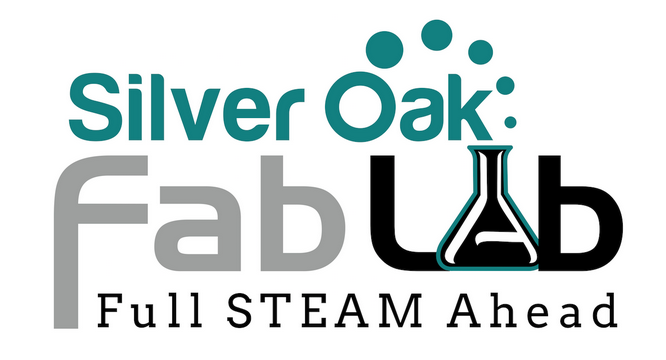 Read about all the exciting projects going on in our Silver Oak FabLab this school year.